Address: Kahala Phata, Sam Road, Jaisalmer, Rajasthan 345001 India. 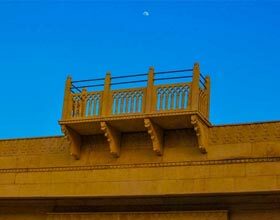 Suryagarh Jaisalmer is one of the luxury hotels in Jaisalmer. Jaisalmer Suryagarh , one of the luxury hotels in Jaisalmer in no 1 hotel in the list of top 5 hotels in Jaisalmer. 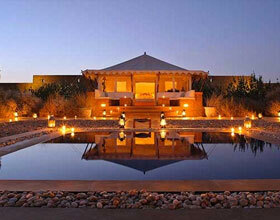 This 5 star hotel in Jaisalmer ensures that your visit to Jaisalmer is a memorable one. Suryagarh Jaisalmer ,luxury hotel in Jaisalmer -The exquisitely designed accommodation with vintage hues and attached ultra modish baths are subtly categorized into Palace Rooms, Grand Heritage Rooms, Signature Suites, Luxury Suites, and Jaisalmer Suite. Sparkling furnishings with lively portraits depicting the folks of this region add zing to the serene ambience drawn by the silent sand dunes. 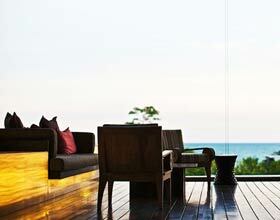 These contemporarily facilitated guests' room enchants the glories of the Rajputana yore. Restaurants at Suryagarh Jaisalmer , top 5 hotel in Jaisalmer -Tempting the connoisseurs' palate, the restaurants at Suryagarh Jaisalmer serve scrumptious delicacies with bent of traditional flavors. Enthralling the opulence of this luxury hotel in Jaisalmer are the eclectic onsite dining venues and exclusive offsite retreats arranged on special request of guests. Among the regal styled venues with vibrant interiors of the Suryagarh Jaisalmer are The Legend of Marwad, a fine dining restaurant opened for dinner, Nosh a 24 hour café, and Draksh an exotic bar lounge. Inclusive of the intimating dining venues are morning meal with splendid vistas of the peacocks, excursion at the oasis amidst the golden sands, an evening treat at the sunset point, a romantic meal with special tents on sands, and a starlit dinner at terrace.